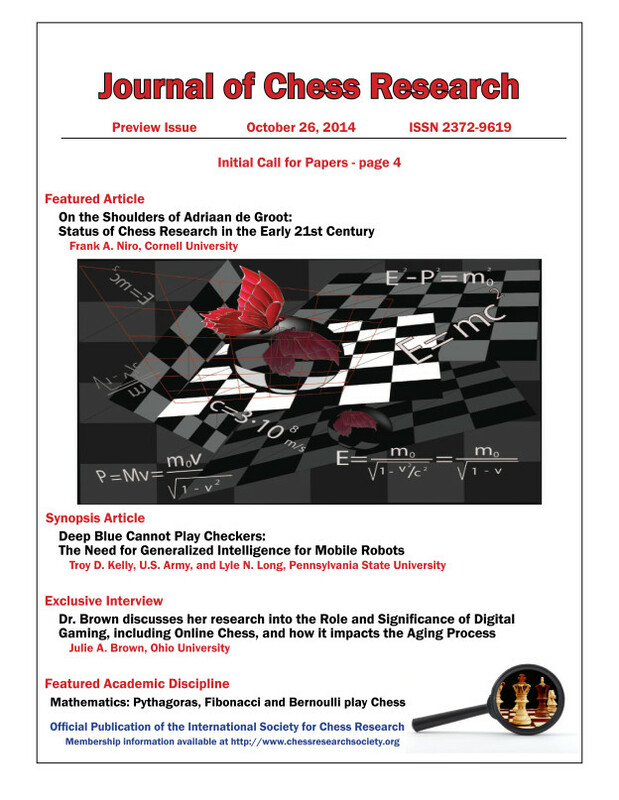 The Journal of Chess Research is published quarterly, and distributed to university libraries, academicians, chess players, researchers and other interested parties in printed and electronic formats. Volume 2 of the Journal of Chess Research is going through the final approval process, and will be published very soon. Please check back in a few days. This web site provides information concerning past and present content in the Journal of Chess Research, as well as sources of previously published research material and links to information about chess researchers and their work.